A new brochure containing a complete presentation of Varvel’s solutions for the world market is now on line. We have updated all our promotional material to better communicate our competencies in power transmission. Our new documentation set includes a new range brochure published in various languages to provide more effective support for our international sales network. 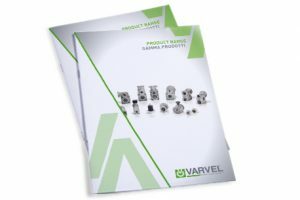 The new brochure presents the product families and services offered by the Varvel Group clearly, effectively and convincingly and provides existing and potential customers with all the information they need on entire Varvel range.